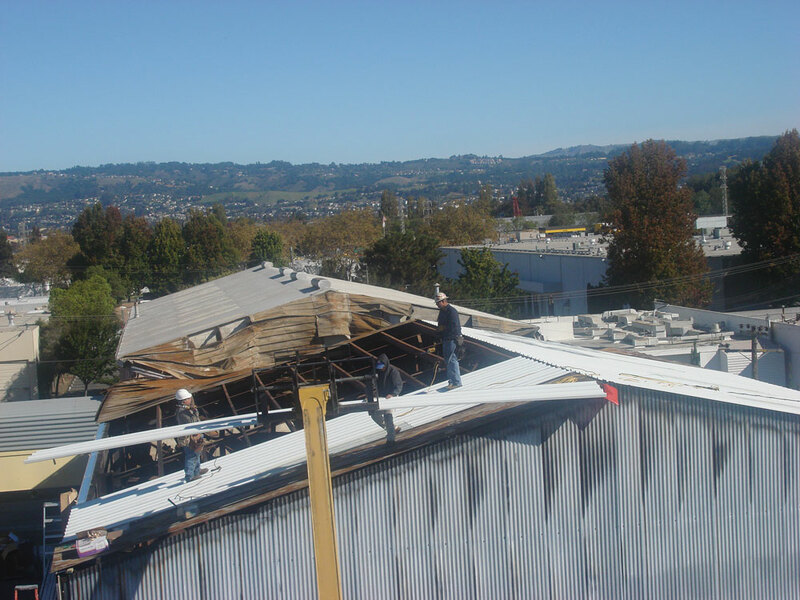 Over the years we have implemented every conceivable repair on metal framing and sheeting systems. We have the capability to perform cost-effective repairs from the simplest to the most complex situations. Typical repairs include leaky roofs, damaged metal walls or siding, handling fire damage, gutter and downspout replacement, skylights, vents and louvers installed or replaced. No repair is too small or too complicated – call us for our expert recommendations. Steel framing and steel roofing replaced along with bridge crane due to fire damage.